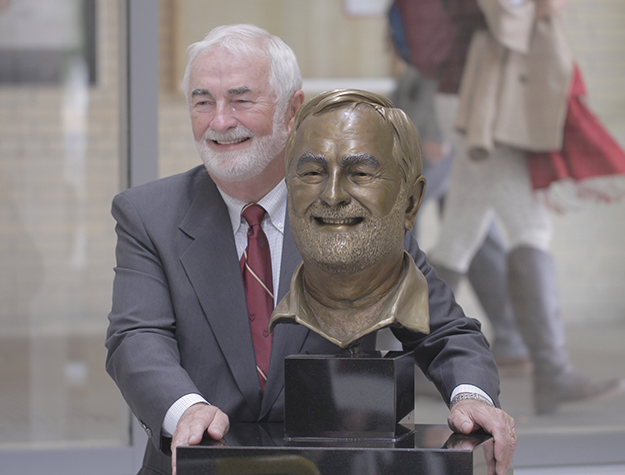 Gino’s portraiture sculpture of McMaster President Emeritus Peter George was unveiled on Sept. 12 2014. 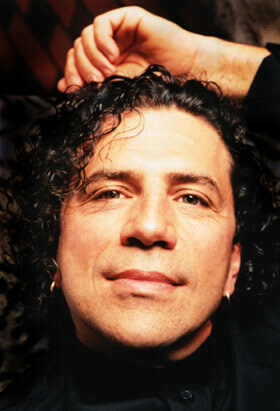 In this work, Gino strived to capture the man behind the title through his genuine radiant smile. The article about the unveiling is from McMaster Daily News. It was reproduced here for archiving purpose only. The sculpture, located in the Student Centre atrium, is engraved with a quote taken from George’s ‘last lecture’ delivered on campus near the end of his third term. 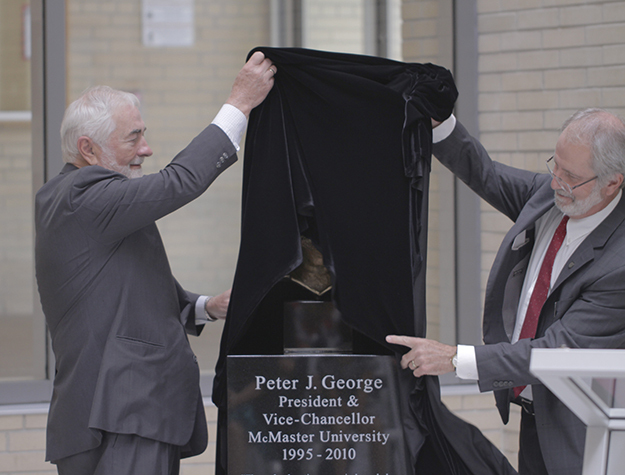 McMaster unveiled a special tribute to President-Emeritus Peter George Friday. University officials and a small group of George’s friends gathered in the Student Centre’s atrium to celebrate George with the placement of his bust in the building he helped champion. The bust was a gift to the University from George’s friends. 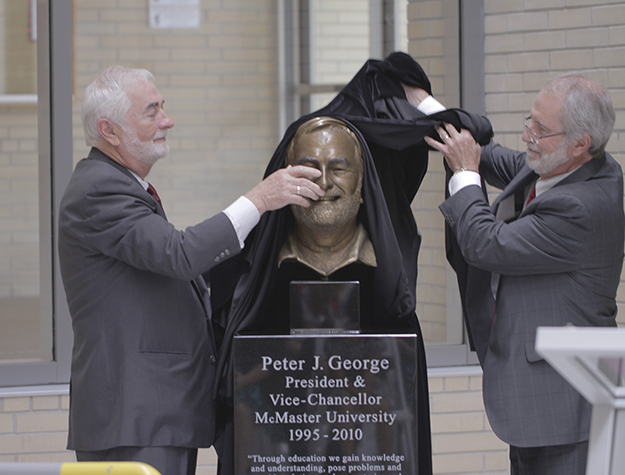 President Patrick Deane helped George unveil the sculpture. He said the bust and its new home are fitting tributes. The sculpture is engraved with a quote taken from George’s “last lecture” delivered on campus near the end of his third term. George spent 45 years at McMaster, retiring in 2010 after three terms as the University’s President and Vice-Chancellor. For George, building a centre on campus that students could call their own was an immediate priority upon becoming President. He led the fundraising, advocacy and planning processes to get the McMaster University Student Centre built. The building celebrated its tenth anniversary in 2012. During his time as President, George led the acquisition and development of the McMaster Innovation Park site, created and advanced partnerships in programming with Mohawk College and other institutions around the world, worked to establish satellite medical schools in Niagara and Waterloo and helped expand the University into downtown Hamilton and the city of Burlington. Under his leadership, the University completed its largest fundraising campaign, raising more than $471 million. He has been awarded the Order of Canada, the Order of Ontario and honorary degrees from numerous universities in Canada and abroad.